Freshwater and species face many pressing threats, of which plastics are but one. We need to take action to overcome all of these challenges. It seems like not a day goes by without a major media story about plastic pollution. From an initial focus on the scale of the problem and its impacts, articles now tend to cover solutions, as governments, consumers and the private sector create and sign up to initiatives to reduce the problem — at a pace hardly ever witnessed when it comes to environmental challenges. It’s great to see how this issue has captured the public imagination and also struck a chord with companies and governments, which all want to do their bit to tackle plastic pollution. 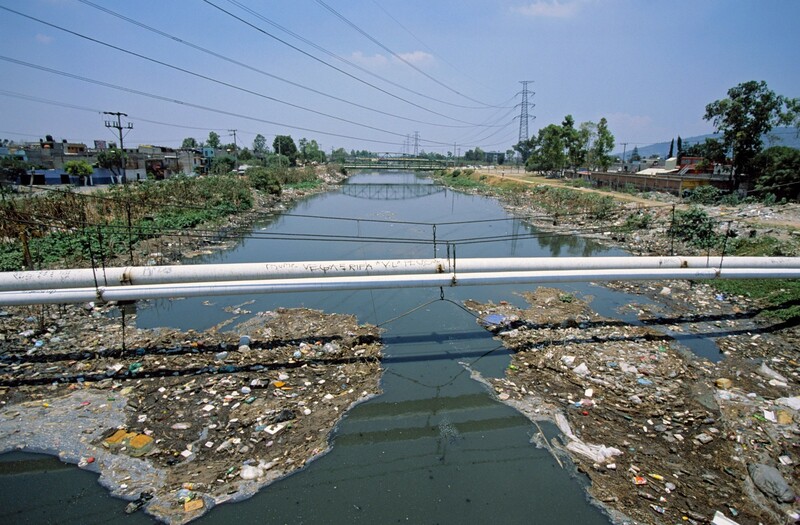 However, when it comes to plastics in rivers specifically, it’s important to view plastic pollution in context. While enormous quantities of plastic do flow down the world’s rivers to the ocean and some rivers are facing a plastic pollution crisis, we need to acknowledge some of the uncertainties that surround the topic and look at how plastic pollution compares to other threats impacting the health of the world’s rivers and the communities and wildlife that depend on them. We know a lot more about plastic pollution in marine environments than in fresh water, though this is changing fast. Rivers have mainly been in the media spotlight in their role as conveyors of plastics: two studies estimated that between 1.15–2.41 and 0.21–4.38 million tonnes per year entered the oceans from land via river catchments. It’s still not clear how much plastic is retained within rivers, for how long, and in what form; this depends both on the plastic (its density, what size the particles are, etc.) and on the river itself (how deep it is, how fast it flows, whether there are dams or other barriers that might retain plastics, etc.). When it comes to observing plastic pollution in freshwater environments, there are more than 40 studies estimating the plastic load in rivers and lakes. Microplastics were found in almost all samples, but in a wide range of concentrations. Microplastics are a key concern because their small size (under 5mm) means they’re more likely to be ingested and because their large surface area relative to volume means more chemicals adhere to them. Concentrations of plastics depend among other things on what is nearby (such as urban areas, agricultural land, plastic manufacturing, etc. ), whether samples are taken from the water column or sediments, and also what sampling methodology is used. Location also matters: in some regions mismanaged plastic waste tends to be the main issue, while in others microplastics from synthetic textiles, tyre wear, microbeads or raw material pellets predominate. So how does this plastic affect freshwater species? A number of these — from fish in France and the USA to freshwater birds in Canada — have been shown to ingest microplastics. It is likely that ingestion is as common as it is in marine species, given how similar some species and their feeding habits are. There hasn’t been much research demonstrating whether plastics are then transferred to tissues beyond the gut, and only a few studies have shown animals being affected by ingestion in laboratory studies. In freshwater habitats, a particular concern is the chemical content of plastics particles, and what impact they might have when ingested by animals (over and above the impact they have anyway). These chemicals can be toxic or disruptive to hormonal systems and are present because of the plastics’ constituents or the additives used to manufacture them, and because plastics are particularly good at adsorbing contaminants present in water. Concentrations of these contaminants are generally higher in fresh water because of its proximity to places where they are produced and disposed. Exposure to these chemicals has been shown to impair reproduction and development in freshwater species in laboratory studies. Small plastic particles aren’t the only issue. 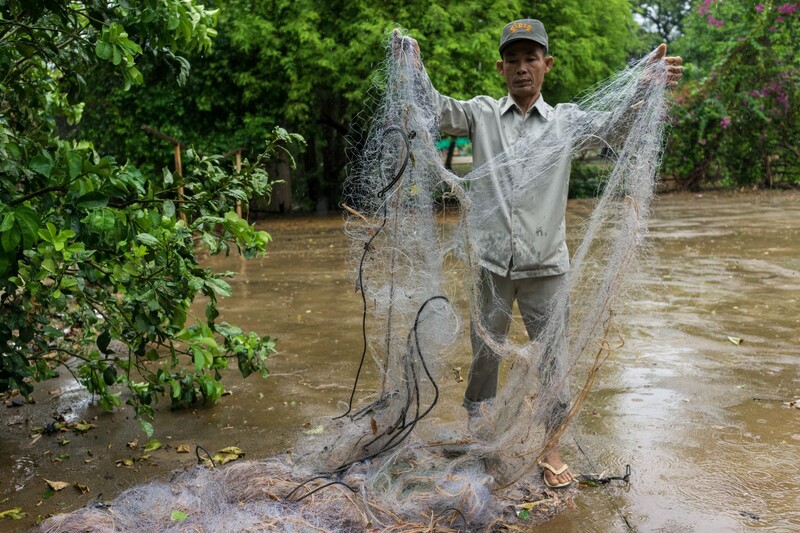 Entanglement in plastic fishing nets — one of the most visibly distressing manifestations of plastic pollution — is also a problem in rivers; for example, nylon gillnets are one of the threats facing the Mekong Irrawaddy dolphin. Overall, there are uncertainties linked to nearly all aspects relating to plastics and fresh water. These include plastic pollution sources and how these differ regionally, what happens to plastics once they enter rivers, how plastics add to the multiple contaminants present in water, how plastics and contaminants affect species in the wild rather than in laboratories, if and how plastics might pose a threat to human health, etc. At the core of it all is the fact that we don’t yet know to what extent the risk posed by plastics (both the particles themselves as well as their component and adsorbed chemicals) compares with other risks facing freshwater ecosystems. We need to know more about whether plastic pollution as it currently occurs in the environment is having a long-term ecologically-significant impact on freshwater species: is it doing more than affecting individual animals, and instead affecting entire populations and species? We also need to understand how much plastic is present in freshwater ecosystems in a more systematic way than has been done to date. A major gap relating to plastics in fresh water is the lack of standardization — for sampling, processing and analyzing plastic particles — which makes it really hard to compare data. Another gap is that there isn’t enough monitoring across different parts of the world (the Global South in particular), in different types of rivers, and across multiple years. I’m not saying we shouldn’t take action. Plastic pollution needs to be tackled and WWF’s work on plastics will definitely include actions related to rivers. But we mustn’t lose sight of all the threats driving the global devastation of freshwater ecosystems, which are in pretty bad shape — and getting worse. Freshwater species populations declined by 81% from 1970 to 2012, an average loss much greater than that of species on land or in the oceans. It can be hard to know what to start with. When we plan freshwater programmes at WWF, we need to know what is impacting biodiversity the most in that area so that we can prioritise our work. For us, a typical step involves doing a threat ranking, which pretty much does what it says on the tin. We review all the threats affecting biodiversity in our programme location, and rank them according for example to their severity, what proportion of habitats or species populations they affect, etc. To my knowledge, plastic pollution has not yet come to the top of any WWF freshwater programme’s threat ranking. This is partly due to the knowledge gaps relating to plastics that I’ve briefly outlined above, but also because there are so many other threats to river health about which we already know a lot more. 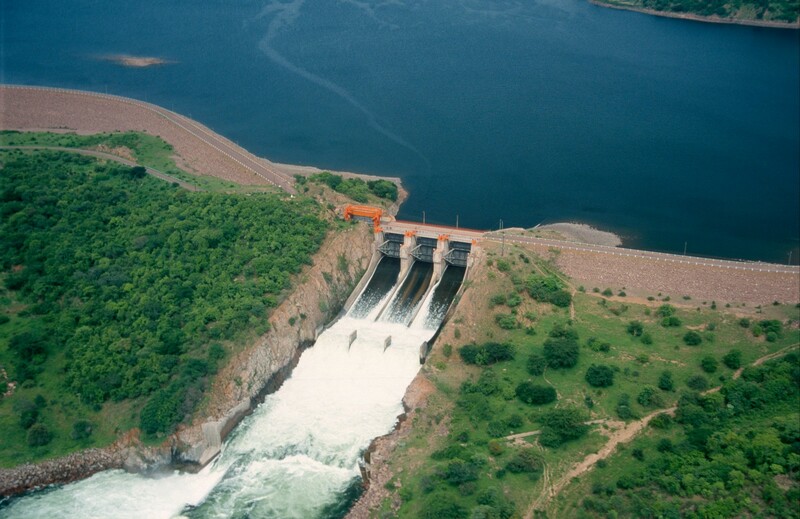 Some of the other threats impacting rivers, other freshwater habitats and freshwater species worldwide include: loss of connectivity and flow reductions due to dams and other artificial barriers; over-abstraction of water for irrigation and other uses; excessive nutrient loading from agricultural and urban areas; siltation caused by land degradation and deforestation; and the impact of climate change. In most river basins, multiple threats occur at the same time, often compounding each other: that’s why we take a strategic and systems-scale approach to our work on protecting rivers and other freshwater habitats. For us within WWF’s freshwater community, we’d like to see an even stronger push to fill knowledge gaps relating to the impact of plastic pollution on freshwater ecosystems. There are many researchers working on related topics from local to global levels, and coordinating their research efforts will help us fill those gaps more quickly. We’d also like to ensure that solutions put forward to reduce plastic pollution fully consider unintended consequences for freshwater ecosystems; for example, the use of bio-based plastic alternatives shouldn’t increase pressure on already overstretched water resources to grow feedstock crops. Have you ever done a “Yes, and” exercise? It happens a lot in workshops: the idea is to challenge participants to build on each other’s ideas in a positive way, rather than start by raising objections. So “Plastics, and” is my way of saying that it’s fantastic to see so much action and attention being placed on plastic pollution, and that we need to galvanise this energy and funding to address other threats to the health and diverse values of rivers as well.